Today, we reported on two initiatives by the some of the largest cities in the world to significantly bring down greenhouse gas emissions. And there’s another. The C40 Cities Climate Leadership Group – a network of cities across the world – has been sharing best practices since 2005. The group merged with the Clinton Global Initiative in 2013. 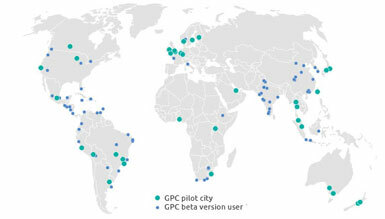 75 cities participate, representing 1 in 12 people and 25% of global GDP. Their work includes green building, water, waste and energy, open space and transit-oriented development. London’s congestion charging scheme has reduced the number of vehicles in the central business district by over 70,000 a day, cutting carbon emissions 15% since 2003. Sydney plans for every resident to be within a 250 meter walk from green paths that connect to major city parks. 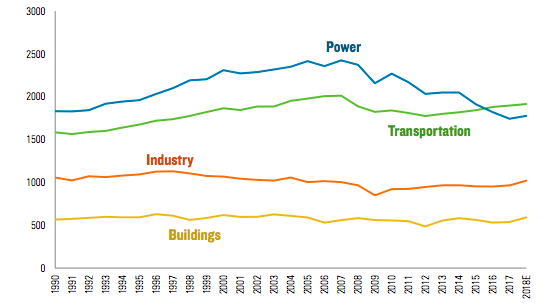 61% of C40 cities have enacted municipal green building policies. San Francisco requires municipal buildings to earn LEED-Gold certification, for example. 67% have green building and energy codes that apply to all buildings. 75% have incentives/ subsidies for the private sector to boost building performance, such as expedited permits for LEED-certified buildings, subsidized energy audits, or incentives to add green roofs, for example. 73% have green school policies in place that engage students in cutting emissions and protecting the environment. Building resiliency – Berlin’s storm water fee taxes property owners based on the amount of impervious surface on their land, for example, and Toronto funded a technology that draws cold water from the depths of Lake Ontario to cool buildings.